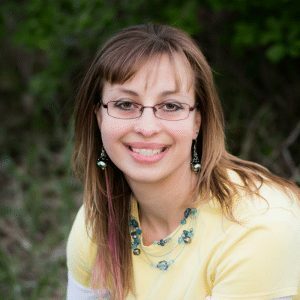 One of the things I love about the Weight Watchers/WW Freestyle points system is that as a WW member, you are provided with a huge list of zero point foods. 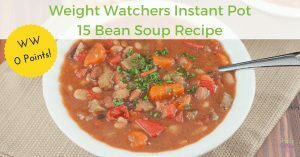 One of my favorite ways to use zero points foods is making this delicious Weight Watchers soup recipe, Instant Pot WW 0 Point Bean Soup. 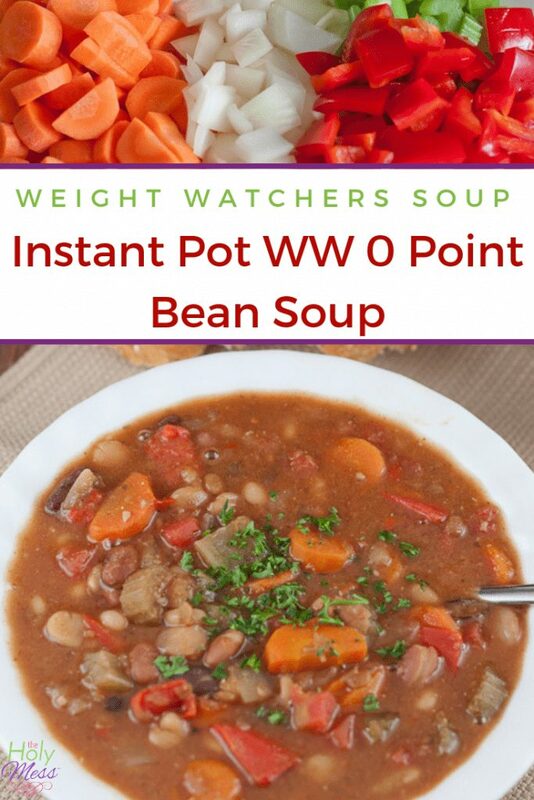 As a Weight Watchers/WW member, I absolutely loving knowing I have plenty of zero point foods available to me, like this Weight Watchers soup recipe. Be sure you check out our WW 200 Freestyle Zero Point Foods List and the 30 WW Freestyle Zero Point Meals and Snacks. True, zero point foods do have calories so they should only be eaten until satisfactions, but these “free” foods are a wonderful tool to use on a regular basis. I tend to make a low-point breakfast, eat a zero point soup for lunch, then have a healthy dinner. This way I still have a few points left over for snacks. (What can I say – I love snacks.) Other times I’ll have a bowl of this filling soup is after a workout or mid-afternoon if I’m having one of those hungry days. 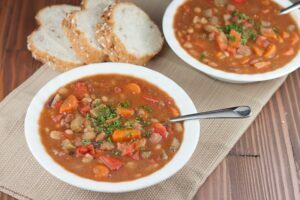 This Instant Pot Instant Pot WW 0 Point Bean Soup is incredibly tasty and delicious, as well as being satisfying. If you prefer meat, you can easily add browned turkey breast or diced chicken, but with the protein from the beans I find this keeps me going without needing to add extra protein. 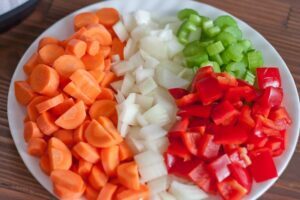 When I first started Weight Watchers (many years ago), one of my favorite go-to filling foods was the Weight Watchers free vegetable soup. I still love a good bowl of that soup, but I really love that the new Freestyle program has expanded to include additional free foods like ground turkey breast, chicken, and beans. Now you can eat Weight Watchers turkey chili, Weight Watchers taco soup, and other delicious filling options – all for zero points. This soup is so tasty and delicious, and best of all it’s ZERO Freestyle Smart Points. Note: this recipe does contain olive oil, but the amount is so small that spread throughout the recipe it still equals zero points. Click here to go to get the full recipe and list of instructions. Can you make these soup even if you don’t have an Instant Pot? You can, but plan accordingly because you’ll need time to soak the beans (ideally overnight) and then cook them for an extended period of time. One thing I love about Instant Pot cooking is that it’s totally transformed the way I cook with dried beans. 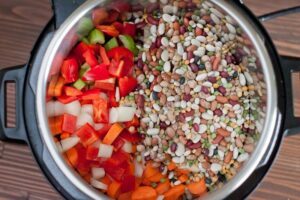 In about one and a half hours, you’ll have a delicious soup right from dried beans, no soaking or spending hours stirring a pot of soup on the stove top. 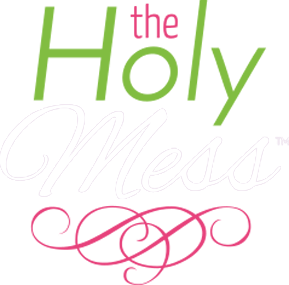 Are you reading to take your healthy Instant Pot cooking to the next level? 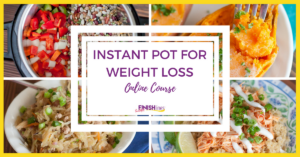 Be sure to click here to check out our Instant Pot for Weight Loss online course. What’s your favorite WW 0 point soup recipe? Share in the comments below.